Texas A&M Football is a big deal, but we don’t have to tell you that. Although Kyle Field is the mecca for Aggie fans and current and former students, it’s not the only place where you can be the 12th man this season. From Sept. 21 to 23, South Padre Island will be transformed into Aggie Island, proudly clad in maroon and white, when Texas A&M takes on the Alabama Crimson Tide (Sept. 22). You’ll find all your gameday favorites here, from the famous Midnight Yell to a full day’s worth of tailgating and a whole lot of family-friendly fun. Find out more about what’s going on during Tailgate Weekend and why you need to get yourself to South Padre Island. Where Else Can You Tailgate Near the Beach? It wouldn’t be an A&M game without tailgating, but you don’t need to be at Kyle Field for this essential pre-game Aggie institution. All the tailgating action takes place at the South Padre Island Convention Centre. 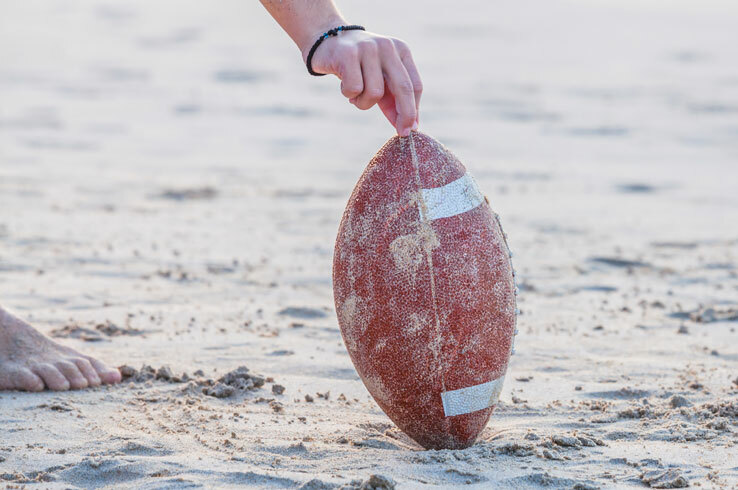 Bring your grill and cook up some burgers and hang out before kickoff, all while enjoying relaxing beach vibes and spectacular views of the Laguna Madre Bay and the Gulf of Mexico. Stick around for the game and be the 12th man with other fans and former students, all while creating brand new traditions of your own. The game is just one part of a whole weekend full of fun that anyone can enjoy. It all kicks off on Friday, Sept. 21 with a screening of Remember the Titans (starring Denzel Washington) followed by the Midnight Yell at 9 p.m. After all, it wouldn’t be pre-gameday without singing the Aggie War Hymn. Game day itself is a lot more than tailgating. Take on the rock-climbing wall, try your luck in the parking lot field goal challenge and the passing contest, and let your kids play on the inflatable obstacle courses and bouncy houses. There are other contests as well, including Best Tailgate Setup and Most School Spirit, so come ready to show off your Aggie pride. Sunday is FUNday on South Padre Island, when you can enjoy the Island while also saving a few bucks. Embark on an epic pirate ship cruise, a sea life safari, or go on a bay fishing tour and save with special discounts just for Tailgate Weekend. Of course, the fun doesn’t have to stop when the game ends. After all, you’re on South Padre Island, Texas’ Best Beach! Swim in the clear, emerald blue waters and soak up the sun with your toes in the sand. Surf or kiteboard on the waves just off the shore, rent a kayak or standup paddleboard and explore the smooth waters of the Laguna Madre, or go parasailing high above the Island. Then come face-to-face with rescued sea turtles and learn about local conservation efforts at Sea Turtle Inc., or see some of the Island’s native and migratory birds at the South Padre Island Birding and Nature Center. Late September is the end of butterfly season, something you won’t want to miss out on. 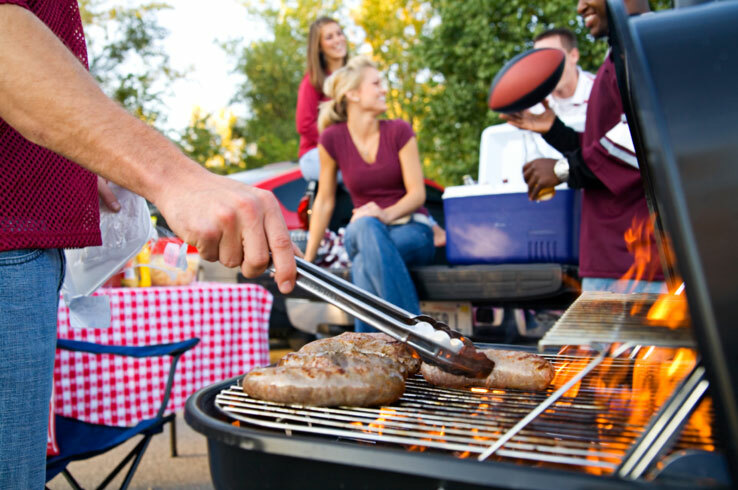 For an Aggie tailgating experience like no other, find your way to South Padre Island for Tailgate Weekend, where you can be the 12th Main on one of Texas’ best beaches.